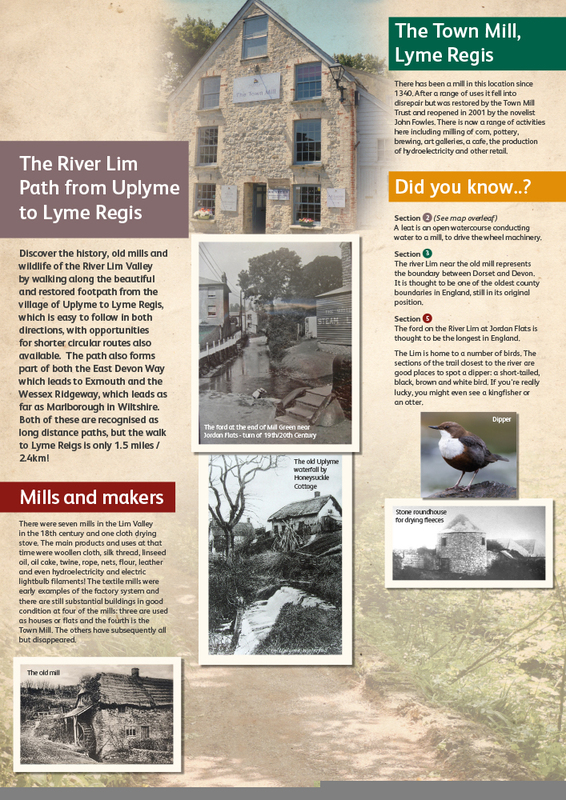 Here’s something we didn’t know until we started this project for Dorset County Council – in the 18th century there were seven working textile mills in and around Lyme Regis. 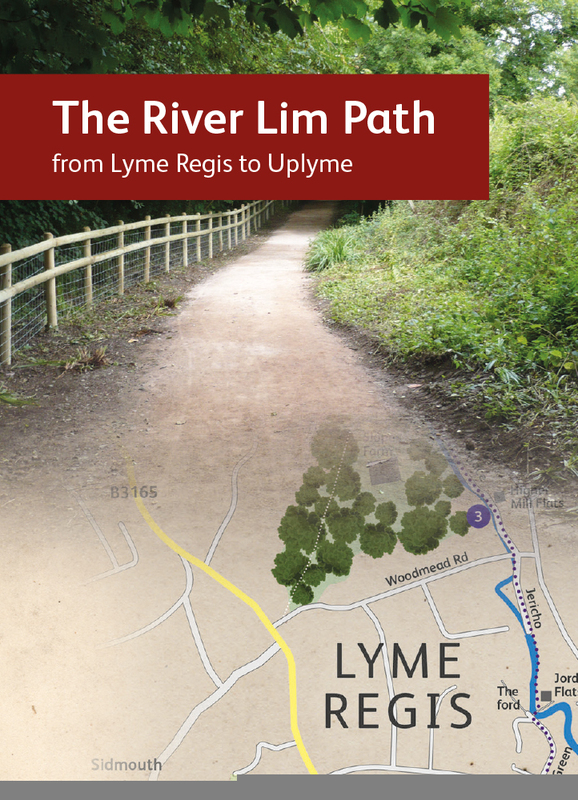 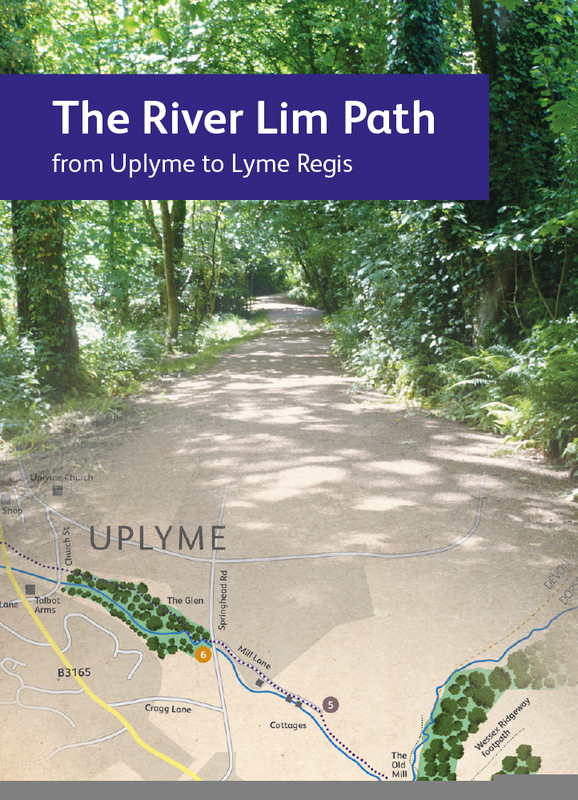 The River Lim Path encourages visitors to discover the history of the mills while following a lovely restored footpath between Lyme Regis in Dorset and Uplyme in Devon, or vice versa. 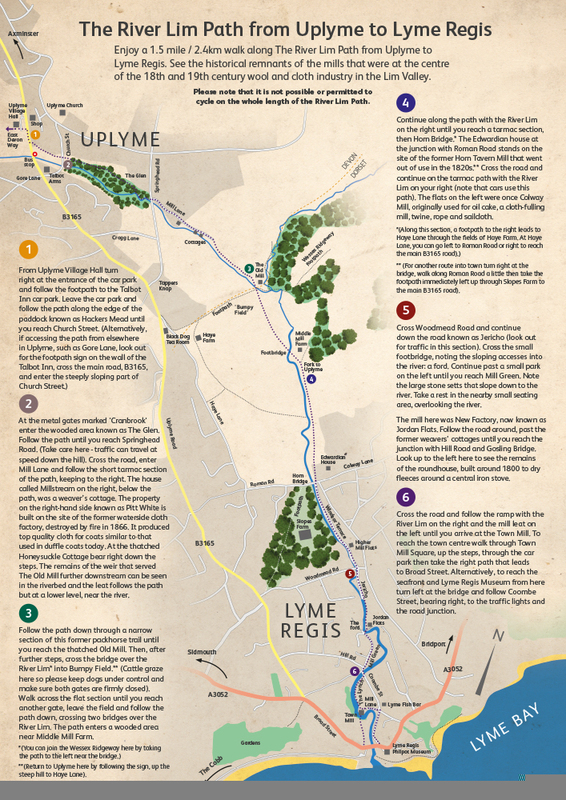 Each trail map leaflet features a map and detailed directions as well as period photographs and historical notes.